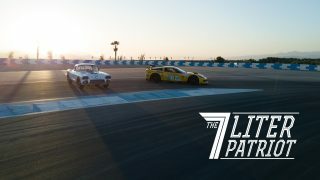 Take a lap with the Le Mans class-winning Chevrolet C6R and the C1 that paved its way. 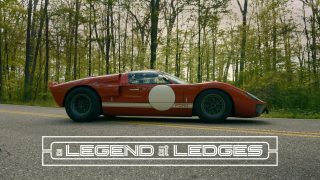 With original parts and due diligence, Ted Baird’s GT40 deserves its VIN tags. From pen to production: Camilo takes us for a ride in his GT vision come to fruition. I recently sold my beloved Mustang GT and replaced it with an ultra modern German performance car. The new ride does EVERYTHING better than the ‘Stang . Sadly the new car does not inspire even though it pleases. God bless V8 engines and manual transmissions. Another grear video. I have always been a fan of the fastback, but I –love– and respect the idea that you went back and interviewed the former owners. What a great idea. As ever, a beautiful video. I agree, has a great rap (to that exhaust). Nice car, very good ‘interview’. Right car, fun classic American, nice daily driver, down to earth owner, great story & documentation, wonderful filming & editing … my favorite since March of 2016 !!! Oh that sound! Wonderful story and like others have said, nice to see the everyday guy. Watch. They’ll come up with some ridiculous “app” for your EV so your Prius sounds like Bullit. A beautiful film and a nice story. Great work as always. The common ground to all of us are the cars – but the love we have for them, comes out in so many different and amazing ways! 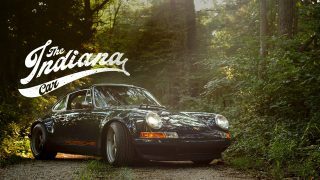 Nice to see a vid/film about a guy and a car we can all relate to. Not a multi-trillion dollar museum piece, but a well-kept and preserved classic. And, best of all – he drives it! In the midst of what seems to be one of the harshest New England winters in years, it is a pleasure to be reminded of warm summer afternoons headed out for a picnic in a vintage car. 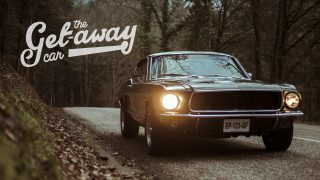 The owner of this Mustang is focused on the right stuff, preserving the car, preserving the history and enjoying the ride. 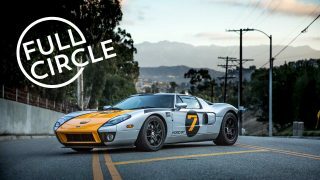 Thanks Petrolicious for another great video! I love the sound of this car! Amen about the driving experience. I’ve driven the “super cars” and a bore compared to the connection between man and machinery via the stick and third pedal, powerless steering, live axle, etc. Maybe a little clouded by 60’s memories, but the original Mustang is still one of the great car designs. If the badges went on ‘in period’ then aren’t they then ‘period’ badges? Removing them at this point would expose paint that hasn’t see UV for half a century. I tend to see them as being in the same class as the decals on the window; just another aspect of how the cars appeared at the time. Thanks for the comments on my video! I’d love to know more about the club if you have any of the newsletters around to add to my “book”. Feel free to reach out at gregstanley36@gmail.com. Thanks again! Watch the video again, he restored (repainted) the car, so removing the badges would be fine. And … “in period”? Really? This is a Mustang not a Bugatti. Because some high school kid added the badges in 1978 that hardly constitutes eternal retention as some type of artifact. Canyon! Shame on you . . 🙂 Do you think that Mustang owners don’t have feelings? The incredible access that Petrolicious has to these owners and these shops really does depend, meaningfully, on our civility as part of the Petrolicious community. This Mustang is quite a rare car in an extraordinary state of preservation, with an exceedingly knowledgeable owner. 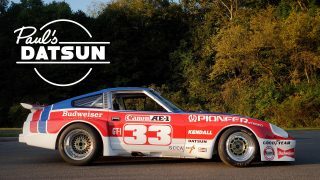 And it is a car that was pivotal in that the Mustang was a car for which the enthusiast community and the manufacturer were in a new kind of partnership.